MIA’s outpatient drug alcohol treatment in Kansas City and drug alcohol treatment in St. Louis provides medical, psychiatric, and behavioral components of treatment to facilitate long-term recovery and wellness through a person-centered approach. Our multi-disciplinary team of medical, psychiatric, and therapy professionals maintain communication and corroboration to facilitate quality of care throughout the program and ensure malleability to the needs, circumstances, and preferences of the people we serve. Our clients are provided therapy for the individual and family, as well as groups for the client and their families. 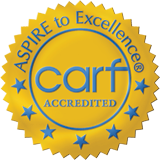 While there are no guarantees in this field, we do commit to completely extend ourselves to the care of the people we serve and to continuously improve our program, modalities, and personnel. The general outpatient level of care ranges from treatment intensity of 8 hours each week to monthly visits depending on the client’s needs. We do not have a time-of-treatment, as the improvement of one’s quality of life continually improves with care that is fluid with the client’s ever-changing needs. Those substance use services that are rendered in our office appropriate to the provision of service for substance use counseling and meeting state licensure requirements. Services focus on behaviors associated with alcohol and/or drug use including lifestyle, attitudes, relapse prevention, and coping skills. These services are typically no more than 8 hours a week. Active family/significant other involvement is important unless contraindicated. The goals, frequency and length of treatment will vary according to the needs of the individual and the response to treatment. A clear treatment focus, measurable outcomes, and a discharge plan (including the identification of realistic discharge criteria) is developed as part of the initial assessment and treatment planning process and is evaluated and revised as necessary as treatment proceeds. Outpatient services may be of brief duration and may be provided as a step down from a higher intensity of care or as initial treatment. Some individuals, however, may require ongoing, intermittent contact with a licensed professional (e.g. once or twice per month) to maintain the individual’s optimal level of functioning, sobriety and to prevent the need for more intensive levels of care. Medical and Psychiatric consultation is available based on clinical need. This level of care is also indicated for individuals with limited motivation for change as higher levels of care may increase resistance to change and negatively affect the therapeutic environment. MIA provides these services in a way that is confidential, private, safe, comfortable, and facilitates the recovery, wellbeing, and self-efficacy of the persons served. 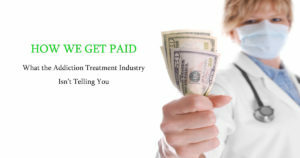 Outpatient Substance Use medication management is the level of outpatient treatment where the primary service rendered is by a qualified prescribing provider who evaluates the individual’s need for medications to assist in detoxification or sobriety, provides prescriptions, and ongoing medical monitoring. These services can include outpatient detoxification and maintenance medications that are used in conjunction with other necessary self-directed, peer support or professional services. MIA provides these services in a way that is confidential, private, safe, comfortable, and facilitates the recovery, wellbeing, and self-efficacy of the persons served.